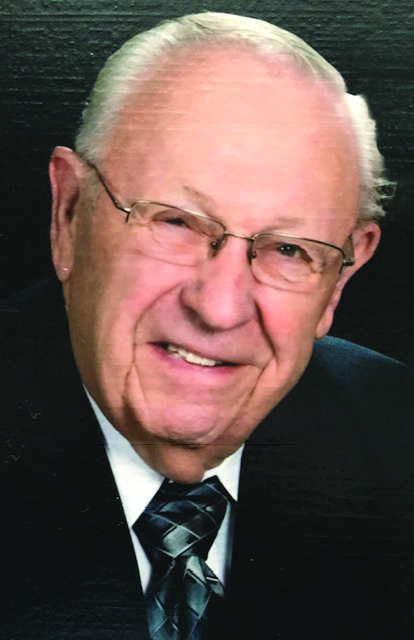 George A. Zaborowski Jr., 85 of Gaylord, passed away Monday, February 11, 2019 at McReynolds Hall with family by his side. Born on April 24, 1933 in Gaylord, George was the son of George Sr. and Theresa (Kwapis) Zaborowski. In 1952, George graduated from McKenzie High School in Detroit. He proudly enlisted in the United States Army where he fought for our country in the Korean War. George and Maggie were married for 62 years. Together, they had three children and built a great life and legacy for their family. For over 40 years, George worked for Hoskins Manufacturing Company in Detroit and then transferred to Mio where he worked in the maintenance department. Upon retirement, he delivered mail part time as he enjoyed the people and became good friends with many of them. He was a parishioner at St. Mary Cathedral where he was actively involved as an usher. George was a member of the Knights of Columbus Council # 2781 as a Third Degree Knight. He loved taking his wife out for a night of polka dancing, going to the casino, playing cards and traveling together. He enjoyed snowmobiling, hunting and golfing. Most of all, his pride and joy was his family. The grandchildren were the apple of his eye as George and Maggie would cheer them on at any sporting event. He was a simple man that loved his family dearly. George is survived by his three children, David (Patti) Zaborowski, Paula (Kelly) Coleman, Dennis (Pam) Zaborowski; grandchildren, Katy (Luke) Traylor, Melissa (Jeff) Tober, Joey (Reannah) Zaborowski, Jenna (Max) Backlund; great-grandchildren, Reid and Addy Kay Traylor, Charlotte Jean “Charlie” Tober and Finn Backlund; sisters, Margaret (Gary) Williamson, Joanie Zaborowski and Marie Burzynski; a sister-in-law, Frances Tuszynski; a brother-in-law, Stanley (Maxine) Koscielniak and many nieces and nephews. George was preceded in death by his parents and the love of his life, Maggie in 2017.